Your lawn mower has been a faithful companion. 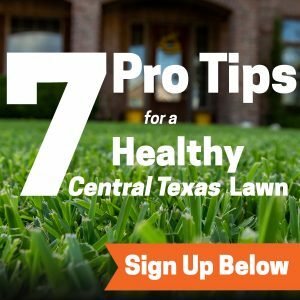 It has helped you keep your lawn in tip top shape. Now, it’s time to start thinking about storing it away for the winter. You won’t be using your lawn mower so you want to store it properly so that it can work well for you again come spring. In this article, we’ll go over how to store a lawn mower for winter. Here are some things you can do now to make sure your lawn mower works well in the spring. Empty the gas tank. Gasoline sitting in the tank for months turns into varnish. Ethanol can also stiffen rubber and plastic parts and coat linkages. You can add ethanol-free gas or fuel stabilizer and run the machine dry. If you have left over gas afterwards, put it in your car’s tank. When the machine is cool, drain the carburetor bowl. Disconnect the spark plug before doing other maintenance tasks. Why? This will keep the mower from kick-starting accidentally which could lead to a serious injury. Detach the blade and clean it as well as sharpen it. Unsharpened blades rip instead of cut grass, causing injury to the lawn. Change the oil. A walk behind mower spins at thousands of revolutions per minute. It’s oil that keeps it from overheating. Change the oil. You’ll need a container for it. With your fuel tank empty and dipstick cap removed, tip the mower in the cap’s direction and drain the oil into the pan. Add fresh oil to the dipstick’s full line. Clean the undercarriage with a putty knife and a wire brush. Get the dirt and gunk off the undercarriage. Once cleaned, reattach the blade. Spray degreaser on oil stains. Let it sit for 10-15 minutes before wiping with a clean cloth. Then, get a hose and rinse it. If you have a sit-down mower, you might want to remove the battery. We suggest storing it in a cool, dry place. Disconnect the battery cable from the battery and keep it away from gas, the water heater or furnace. Finally, you’ll want to store your mower in a dry location. Keep it protected in your garage or shed. If you follow these simple steps, you can make sure that your lawn mower is stored safely for the winter and raring to go in the spring. If you have any questions, feel free to contact us at Emerald Lawns. We can be reached at 512-990-2199.